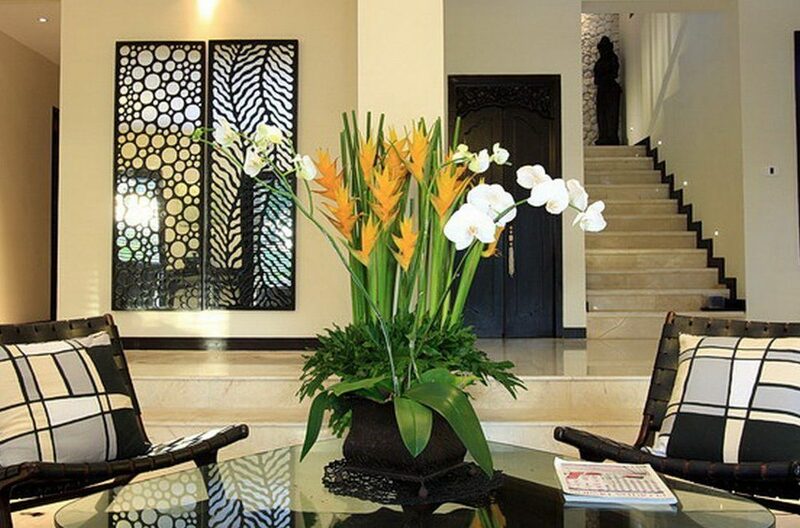 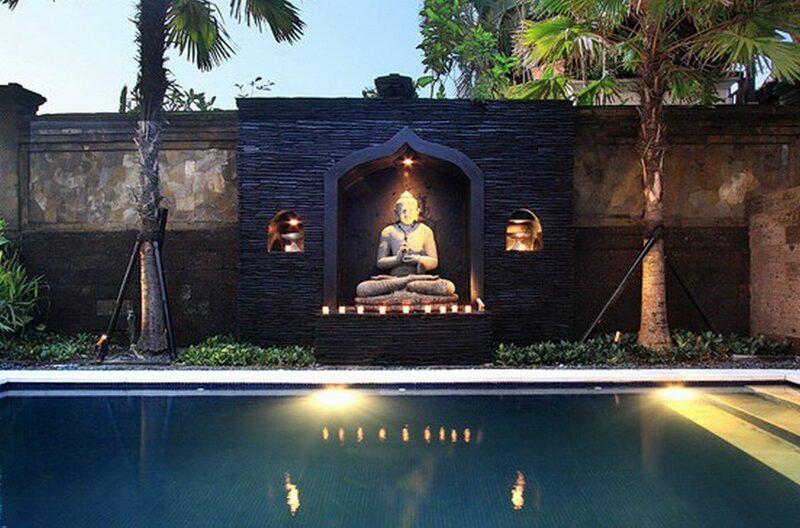 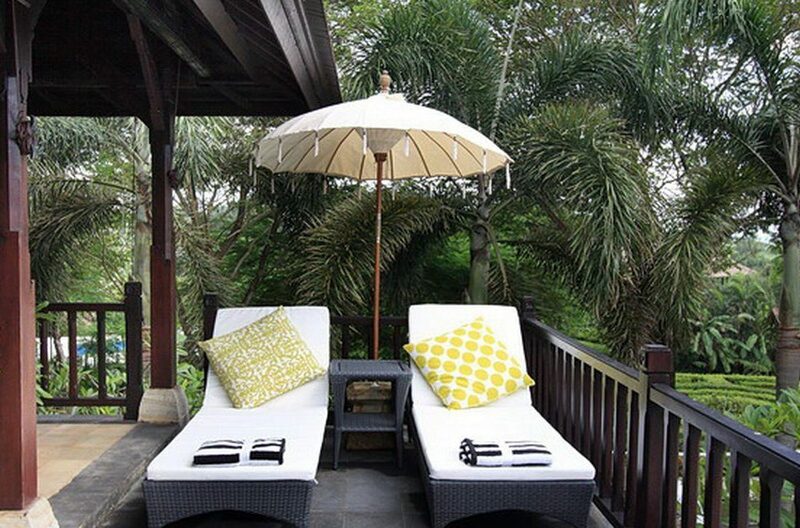 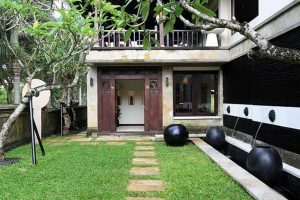 Entered via towering authentic gates this property opens up into an enchanted, exotic garden with lush tropical planting and Balinese statues. 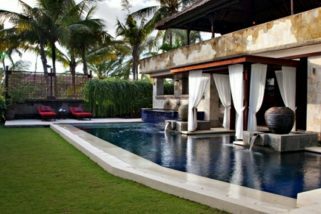 Central to this is a dazzling private swimming pool with a beautiful panorama of the distant ocean edged by a patio with sun loungers. 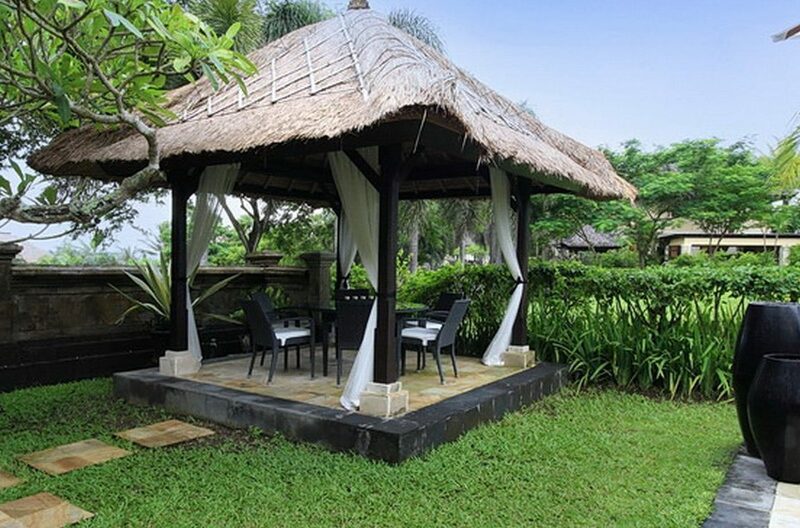 There is also a traditional, shady bale belong with a small dining area perfect for romantic, alfresco dinners under the stars. 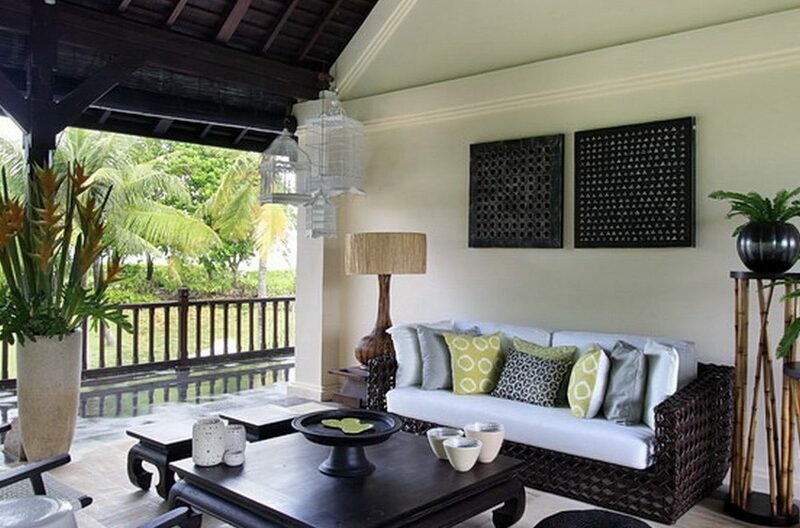 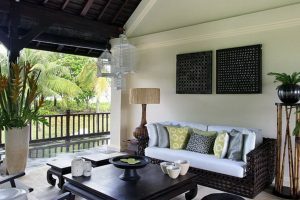 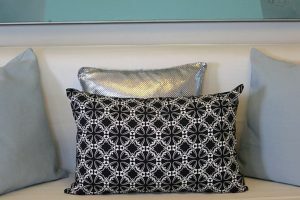 The living area, overlooking the lush planting of the garden, is set on the ground floor and has a stylish monochrome colour palette peppered with pieces of local art. 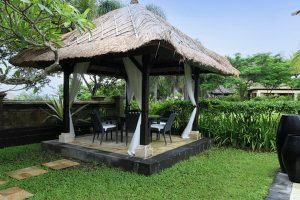 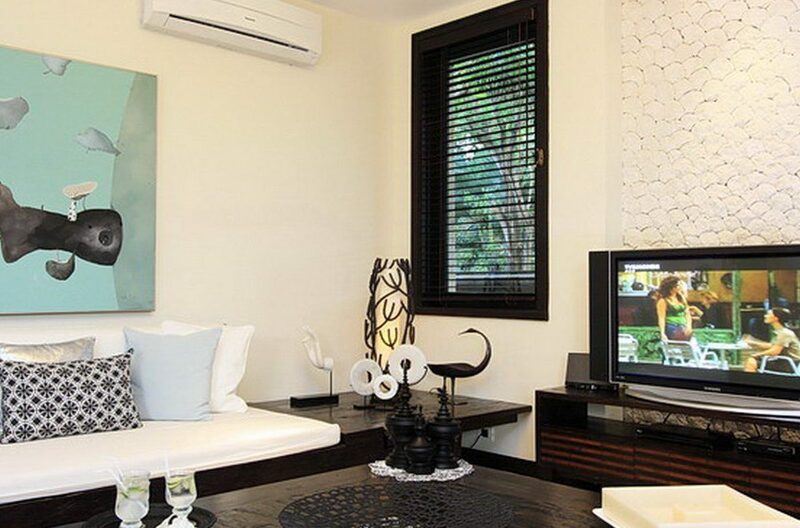 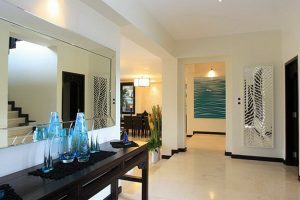 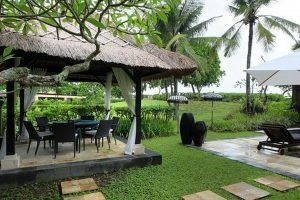 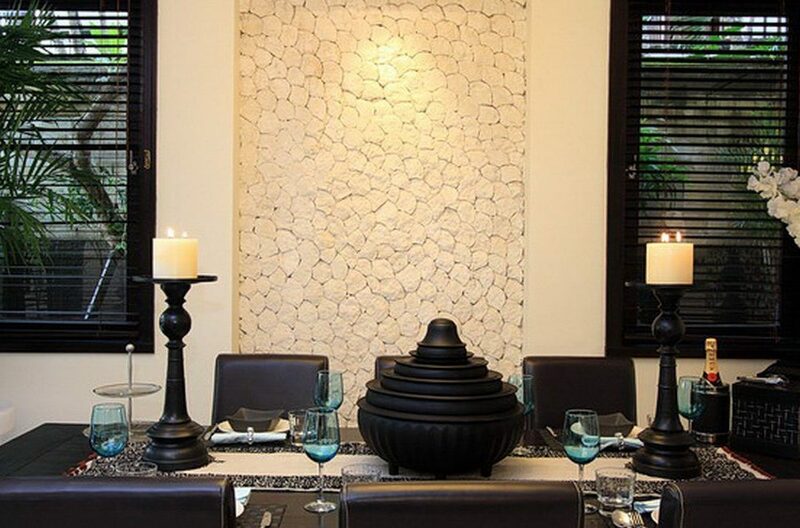 This area boasts comfortable rattan sofas, Satellite TV and a formal dining area with black leather chairs accommodating 8 people. 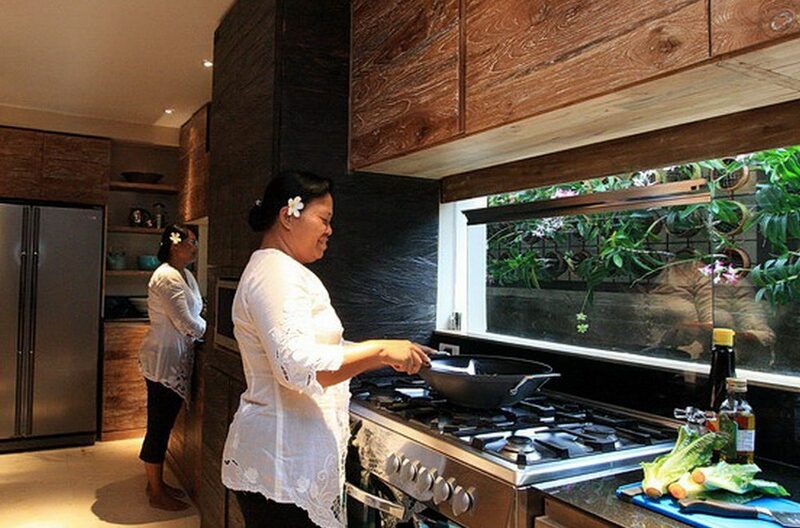 There is also a separate fully fitted galley kitchen for preparation of your delicious meals. 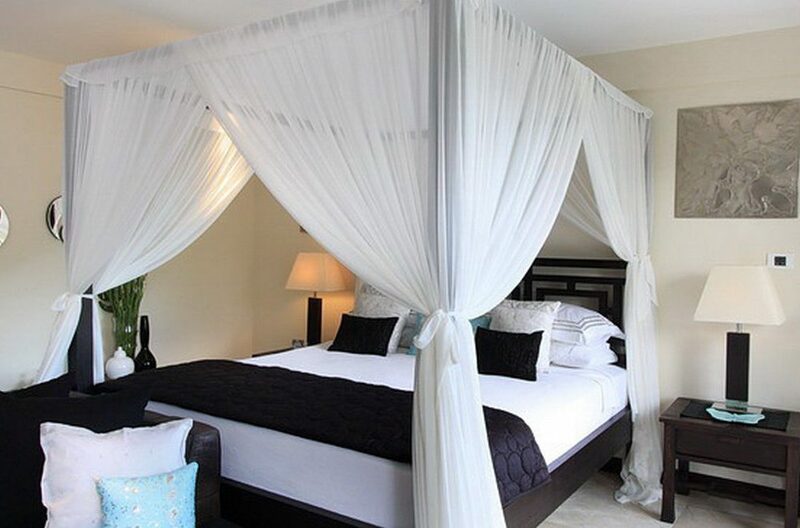 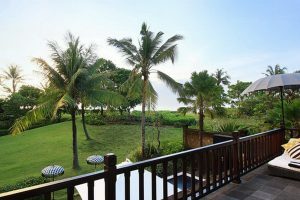 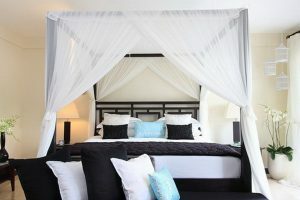 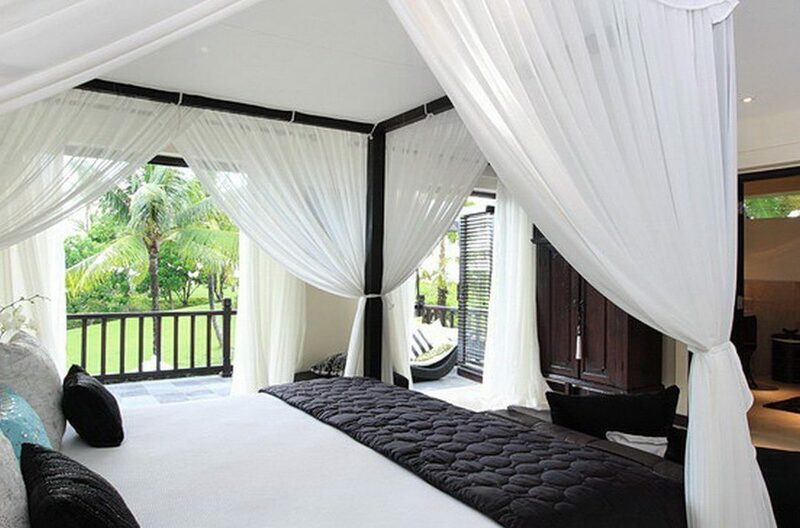 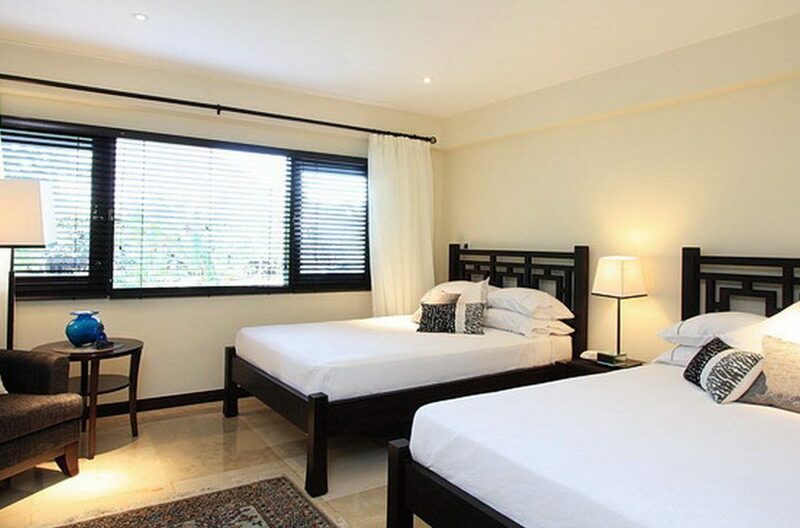 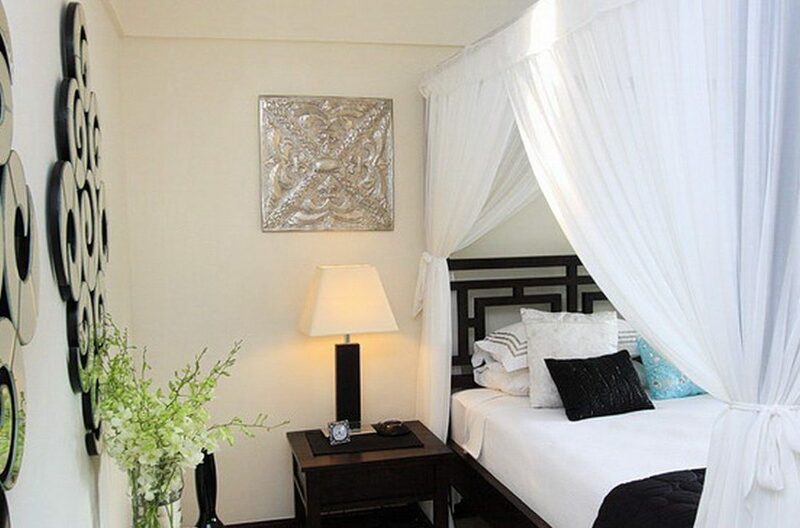 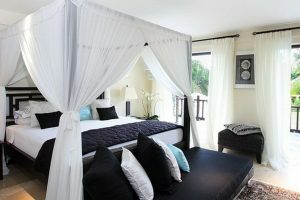 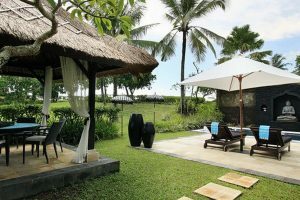 The Villa Arjuna Golf master suite is located on the first floor and comprises of a king size bed framed by canopy drapes and a spacious private balcony with lovely views. 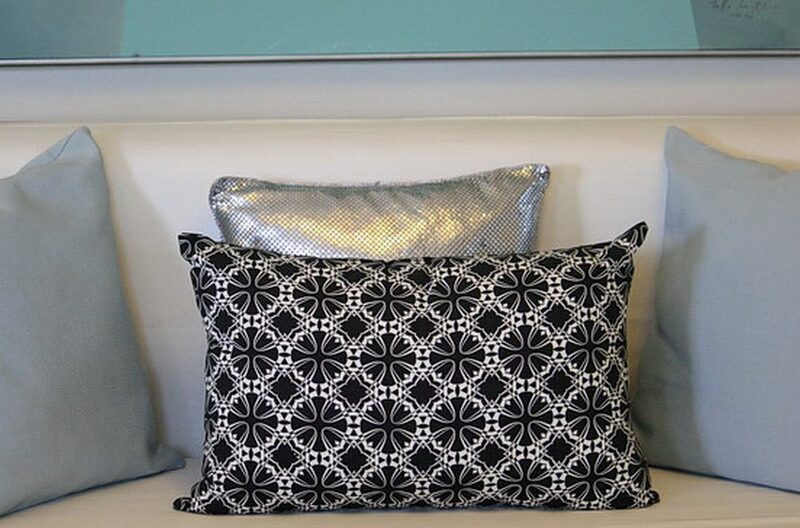 The 2 guest rooms are furnished with a queen size bed and twin beds respectively. 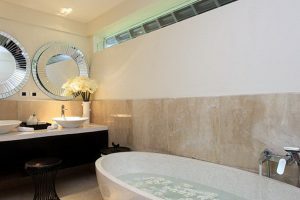 All the bedrooms feature their own private well-designed ensuites. The wonderful team of staff includes a seasoned chef, 24 hour security, garden and pool attendants and daily housekeepers. 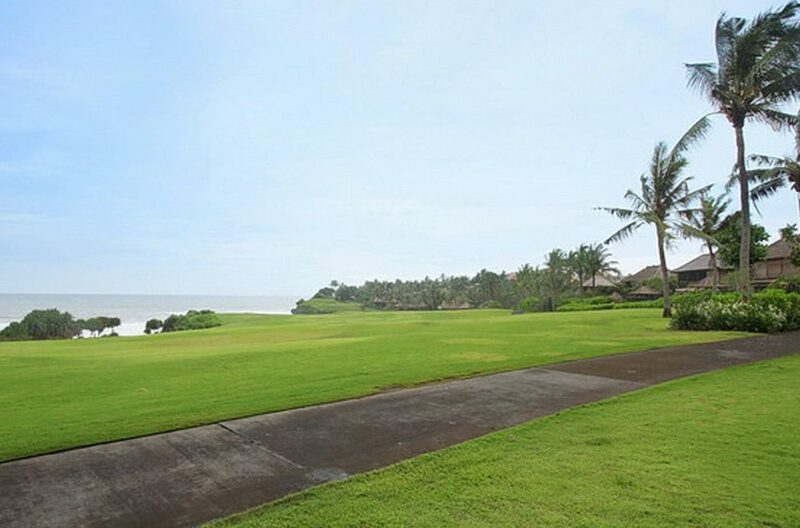 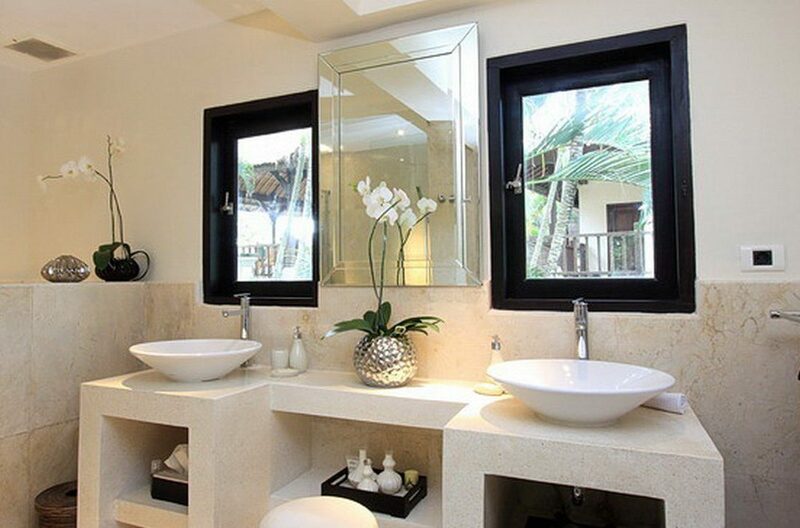 Guests also have access to a range of activities in the élite Nirwana Golf Resort in Bali, including tennis, squash, the spa, the gym, the swimming pool, sauna and water slides. Golf discounts can also be arranged along with in-villa spa treatments. 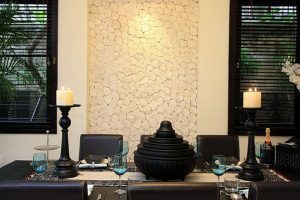 As well as this wealth of activities there are many nearby restaurants and day trips to other part of the island for both cultural and shopping purposes can easily be facilitated. 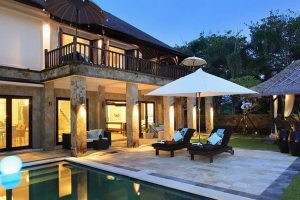 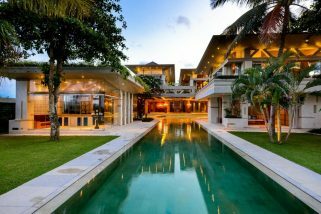 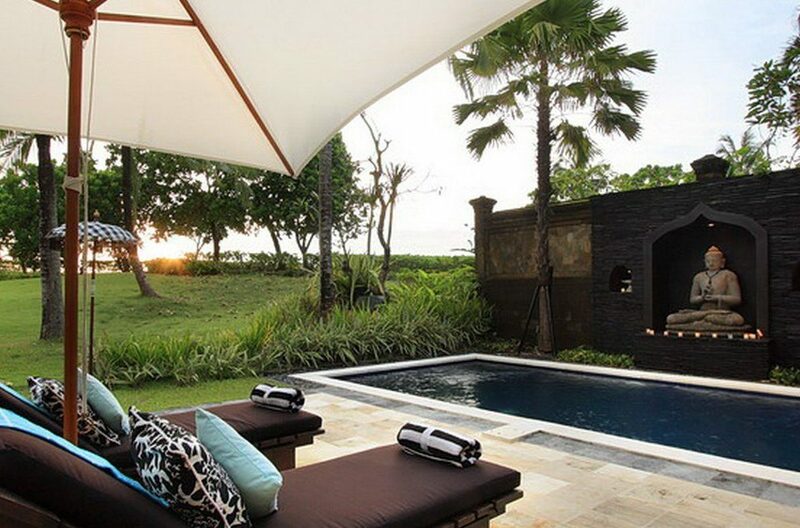 This majestic 5 bedroom villa is situated in Tabanan, Bali, and has panoramic views over the Indian Ocean and the picturesque Nirwana Golf Resort, designed by legend Greg Norman.